Heading into the final two shows of a triumphant first season, the TV singing competition has proved itself well worth a look – but especially a listen. "The Voice” doesn't engender love at first sight. Which is our best guess as to why the singing competition show, heading into Wednesday’s finale of a pleasantly surprising strong first season, has struck a chord with audiences. The clever gimmick of beginning with blind auditions creates instant suspense (will the panelist hit the button and whip around that amusement park funhouse ride of a chair?) and marks a dramatic start to, in some cases, season-long journeys. But more importantly, the device sets a tone of fairness that the audience apparently appreciates as much as the contestants. The NBC show, in barely two months, has emerged in some respects as the anti-"American Idol" - or at least the anti-Simon-Cowell-era "Idol." The comparisons are inevitable – and apt: "The Voice" seems to have benefitted from lessons "Idol" learned the hard way over the last three or so seasons. Panel chemistry is important, and “The Voice” has done well with Christina Aguilera, Cee Lo Green, Blake Shelton and Adam Levine, whose easy banter has grown somewhat tenser as the competition has tightened. But more importantly, the four music pros have embraced the mission to build talent rather than reflexively tear it down – and to get out of the way when it’s the emerging stars’ turn to shine. The key to the "Idol" rebound this past season - other than that the Steven Tyler and Jennifer Lopez combo proved charming and encouraging to the contests - is that the finalists got better week to week, thanks to strong mentoring. The coaching element on "The Voice" creates a sense of nurturing while the competition generally prevents the affair from delving too far into treacly lovefest territory. "The Voice" Semi-Finals: Did Christina Aguilera Scold Blake Shelton? 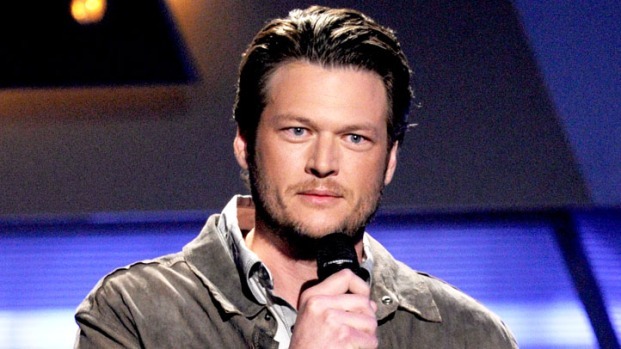 Blake says that he is "exhausted" from the semi-finals of "The Voice." Also, he talks about performing "Honey Bee" with Dia and Xenia on the show. Plus, did Blake get a tongue lashing from Christina Aguilera for something he said about her? Not all of the final four, who are set to perform Tuesday night, are necessarily "Idol" material – which is good. "The Voice" seems less about manufacturing fresh-faced pop stars than finding strong performers of any age or ilk. Beverly McClellan, bald, bold and more than twice the age of “Idol” winner Scotty McCreery, could take the contest with her Joplin-esque growl. Javier Colon, our bet to win, also is past the “Idol” age limit, even if he appeals to a wide-ranging audience. The one thing Fox' “Idol” still does better than any talent competition show on TV is build drama, and, in its best seasons, compel our emotional investment in the results. Who will win? The NBC hit caps off the season with a two-night finale, beginning Tuesday at 9 p.m. ET. First, the field of four is cut in half, then on Wednesday, a champion emerges! Last week’s semi-final round – particularly McClellan’s victory over Frenchie Davis, who has her own controversial history with “Idol” – only started to approach that level. As for what Wednesday’s finale of "The Voice” will bring, we're eager to watch – and listen.